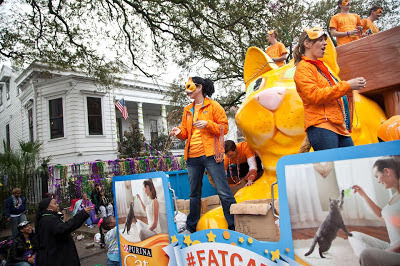 Catladyland: Cats are Funny: It's #FATCAT Fat Tuesday Mardi Gras Parade! 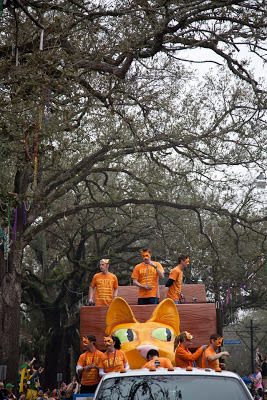 It's #FATCAT Fat Tuesday Mardi Gras Parade! Yesterday was the big one ... the one where the Purina Cat Chow #fatcat Fess-Up Float got to strut his love handles in a real New Orleans Fat Tuesday Mardi Gras parade! 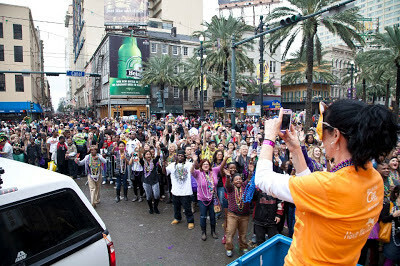 It was beyond fun and an experience I will not soon forget. 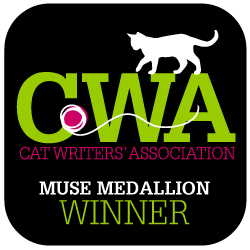 I can still hear the "Fat Cat, Fat Cat!" chants in my head. Here are a couple of photos from the parade (all from the Purina Cat Chow Facebook page) and you can see all the photos by clicking here. Not sure if you have a fat cat? Take the quiz.